Matthew Hesser, 35, of Vineland. 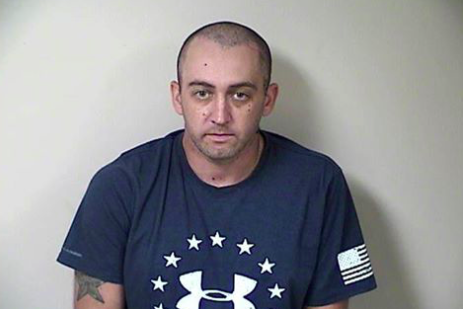 An aspiring volunteer firefighter in New Jersey is facing criminal charges for allegedly setting a local shed on fire and then pretending to be a part of the responding units called to put out the flames, police said. Vineland resident Matthew Hesser, 35, had been a attempting to become a volunteer firefighter at the Mizpah Volunteer Fire Co., which serves a section of Hamilton Township in Mercer County. At around 1:10 am on Aug. 16, the Hamilton Township Police Department received a 911 call about a fire at a shed in the 1300 block of West Point Avenue. Patrol officers responded alongside the Mizpah, Mays Landing and Laureldale fire departments. Authorities determined that Hesser was the original 911 caller and also responded to the scene to assist with extinguishing the fire. Hesser was interviewed by detectives on Sept. 13 and ultimately was charged with arson and criminal mischief. Mizpah Fire Chief Jay Davenport told NJ.com Hesser had applied to join the fire company but his application remained pending at the time of the incident. Davenport said he's been permanently barred from joining or getting involved with the Mizpah Volunteer Fire Co..
Hesser was released from jail on a summons ahead of a court appearance.